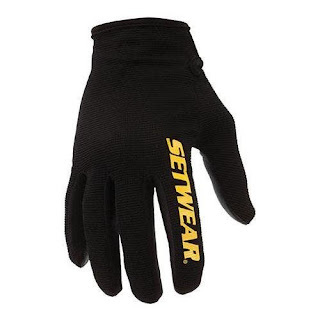 All I want for Christmas is a new set of SetWear Gloves. Here is my original pair of Set Gloves from SetWear. 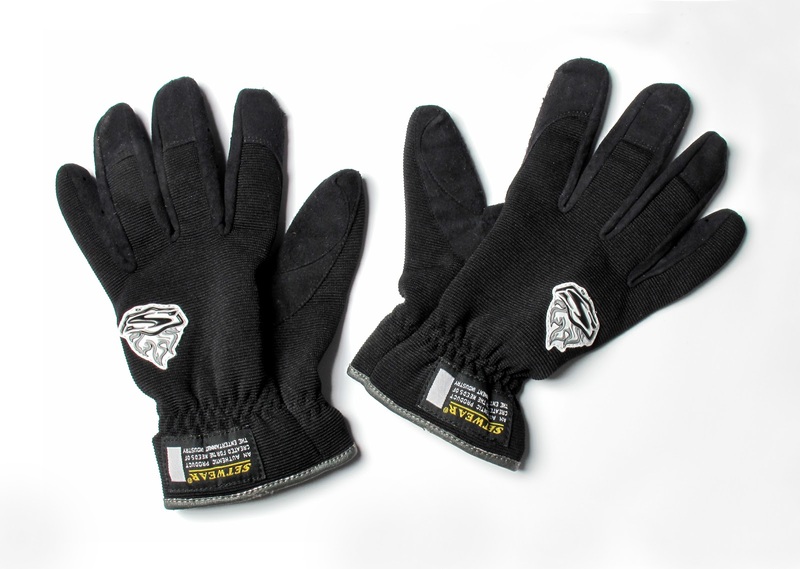 They are thin leather and heat resistant. They were super comfortable and saved me from burning my hands over and over again back when hot lights were in vogue. They got lost on some long, convoluted project hundreds of miles from home. I replaced them with another set in 2012 and the new set has given me good service on an almost daily basis. But, if we're no longer using hot lights (that often) why in the world would I be wearing leather set gloves in Austin, Texas, year round? Crazy? Fetish? Freakishly rockstar-ish? Naw, I'm just tired of screwing up my hands. 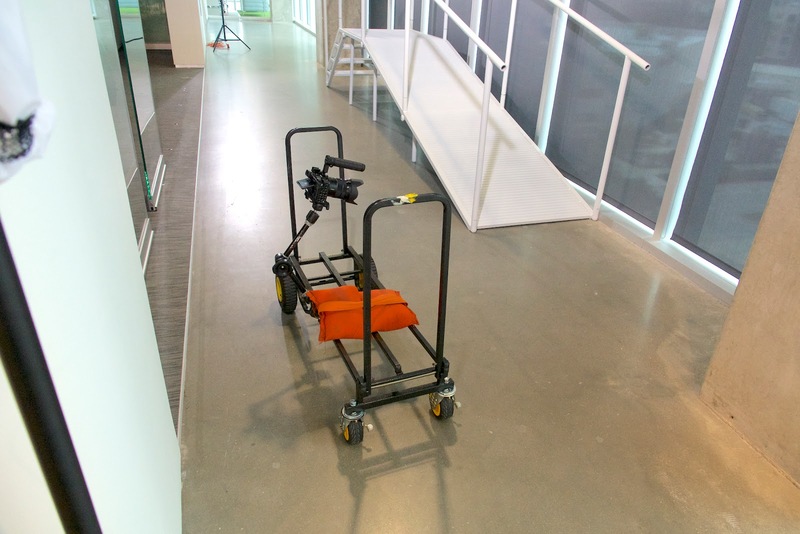 About three times a week I'm pulling an R10 Multi-Cart out of the car, grabbing bags of stands and securing stuff with bungie cords. Reaching into a dark hatchback in the pre-light hours of dawn (and woefully pre-coffee) there is always something your hands collide with that has sharp edges or corners. I've gotten tired of getting paper cuts from seamless background paper, burned fingers from black metal gear left roasting in the sun, formica splinters, and cobra bites from angry props. If I'm going to haul stand bags, Pelican cases or just about anything else I want something between my skin and the gear. I'm also tired of getting the errant fingernail bent back when trying to grab for falling gear. Set gloves aren't perfect but they are mostly perfect for the jobs I put them to. They aren't for warmth, they are just that thin layer that nature should have already provided for your palms and your fingers. I used mine this morning to unload multiple stand bags from the car. I used them last night to load multiple stand bags from the car. I also used them on Tues. when I was setting up seamless paper in the middle of a chic office building just south of Barton Springs. I used to keep a pair in the studio and a pair in the car. Somehow, one pair has escaped.... A new pair is at the top of my 187 page Christmas "want" list....just ahead of that Leica SL and the new 50mm. It's conceivable that I'll score on one of these two. But I'll let you guess which one. My latest set gloves were black with flames in yellow and red. My oldest set (above) just had flames in black and white. The newest ones just have "SetGlove" printed on the index finger (below). I like the red flames best but I'll take any variation. Thanks! I almost forgot, a lot of video production is effectively moving the camera. Improv here we come.